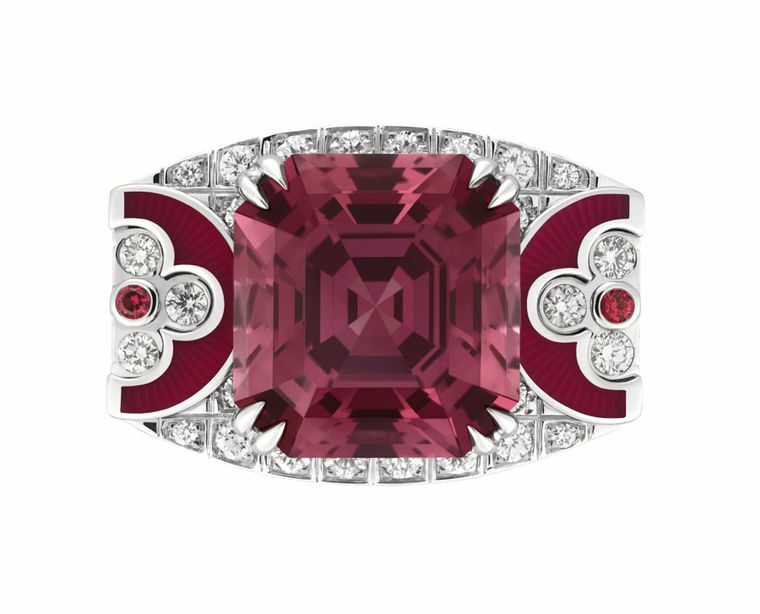 A spinel ring from Chopard’s Red Carpet collection. 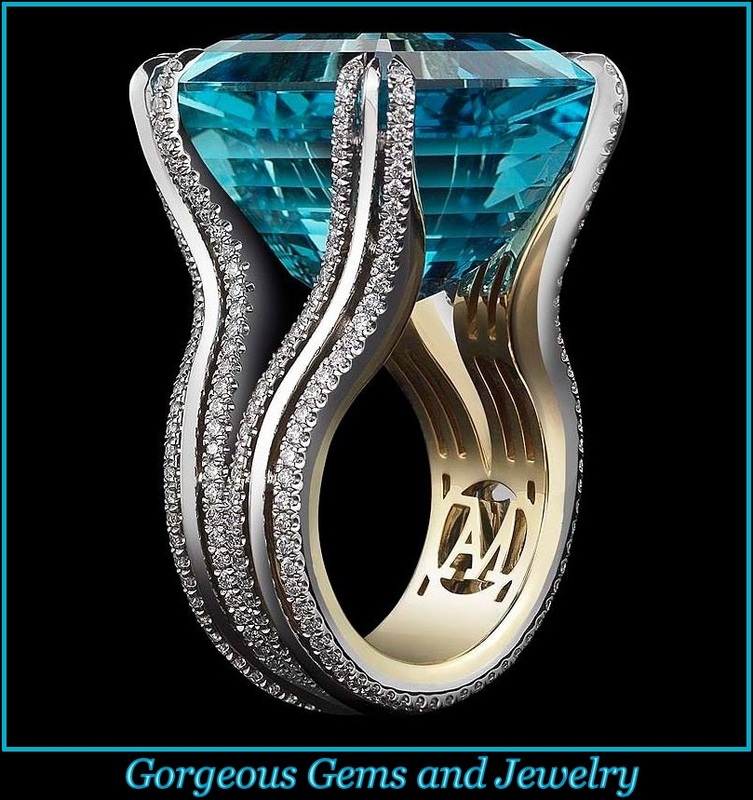 Note the fully diamond-paved shank of the ring and its knotted forms. With its vibrant, saturated hues, spinel – more rare than rubies, sapphires or emeralds – has been a misunderstood, and sometimes misidentified, gemstone. Jean Schlumberger for Tiffany & Co. fish bracelet, from the Blue Book Collection, with sapphires, red spinels and diamonds in platinum and gold. Its wide array of colours, from deep crimson to pastel blues, as well as pink, purple, grey and black, makes it a perfect impostor for other stones. Many famous ‘rubies’ are actually spinels, including the Black Prince’s ruby, one of the earliest British Crown Jewels, which is actually an egg-sized red spinel that most likely came from either Burma or India. 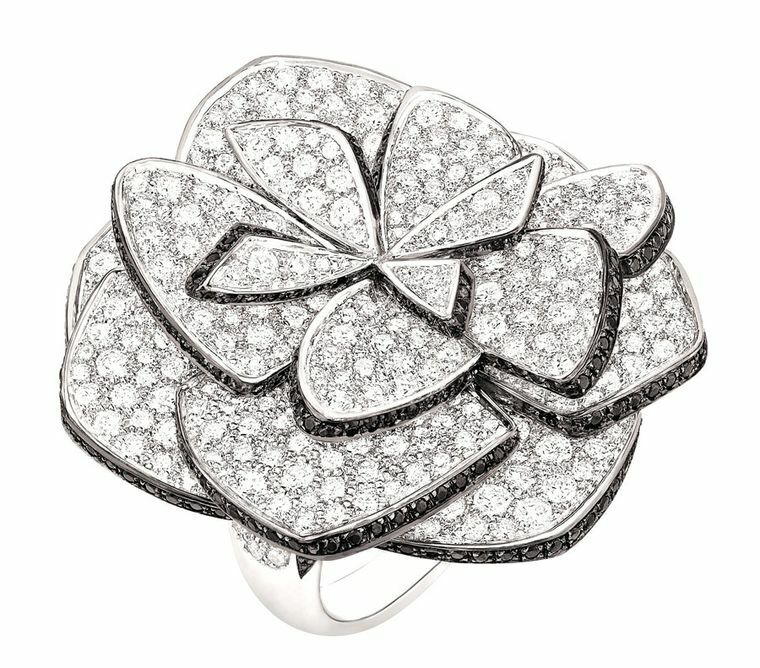 Louis Vuitton Voyage dans le Temps Dentelle de Monograme ring in white gold with a 8.66ct blue spinel from Vietnam and 2.53ct diamonds. Major deposits of spinel have been found in Cambodia, Vietnam, Tanzania, Russia, Australia, Sri Lanka and the United States. It is known as an indicator stone because it usually shows up in the same deposits as ruby and sapphire. A crystalline difference, which can be detected only by a trained gemmologist, puts spinel in a class of its own. 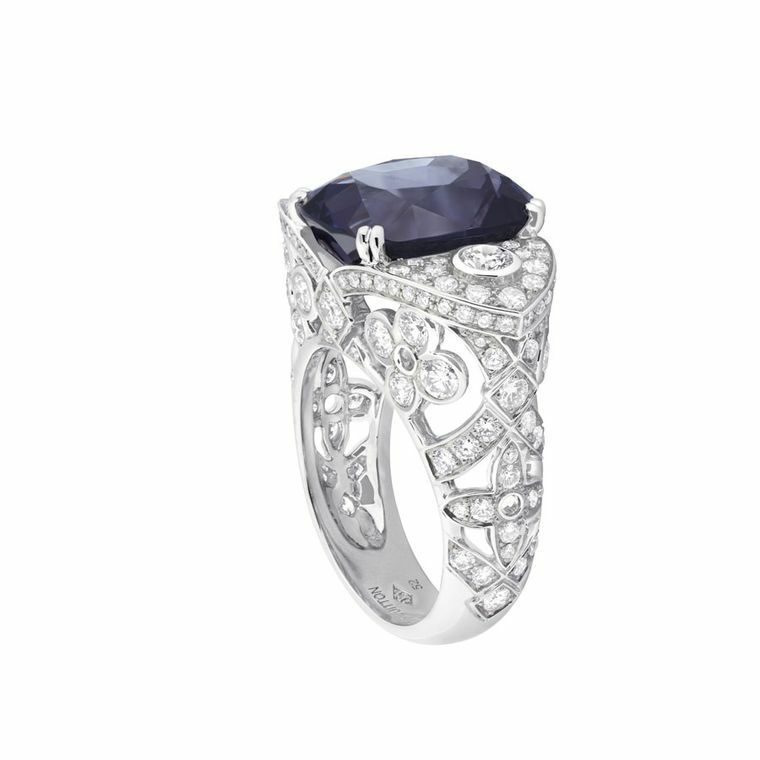 Louis Vuitton Voyage dans le Temps Dentelle de Monograme ring in white gold with a 9.50ct purple spinel from Tajikistan and 2.59ct diamonds. It needs no coaxing from heat or irradiation to bring out its fiery colours, and nearly all spinel is untreated. With a hardness of 8 on the Mohs scale, it’s one of the hardest gemstones available. So why has spinel been so maligned? 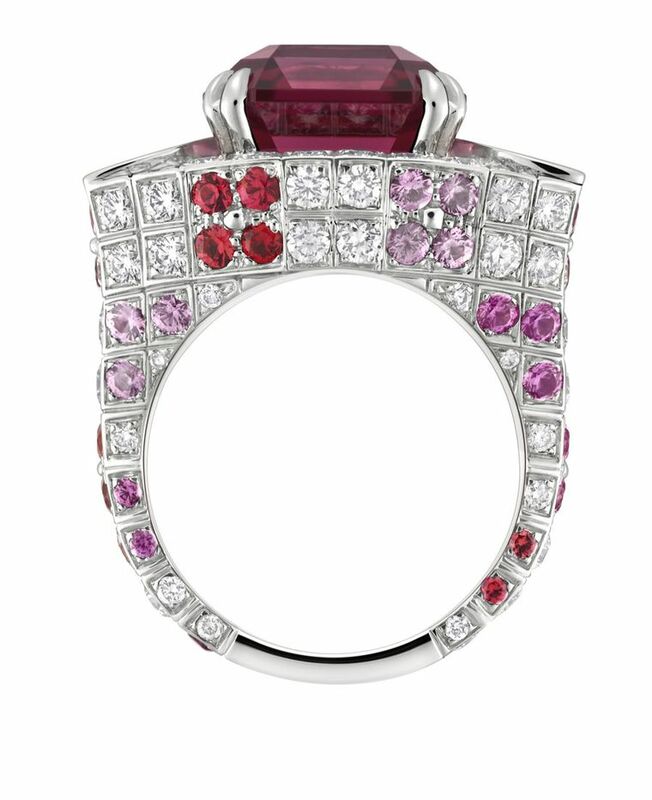 Louis Vuitton Voyage dans le Temps Flashforward ring in white gold with one 10.80ct red spinel, pink sapphires, spinels, lacquer and diamonds. Maybe because it’s the first synthetic stone to be produced in a lab and, for a long time, was used in inexpensive jewellery. Somehow, spinel became inadvertently synonymous with synthetic, a misconception that sometimes still holds today. 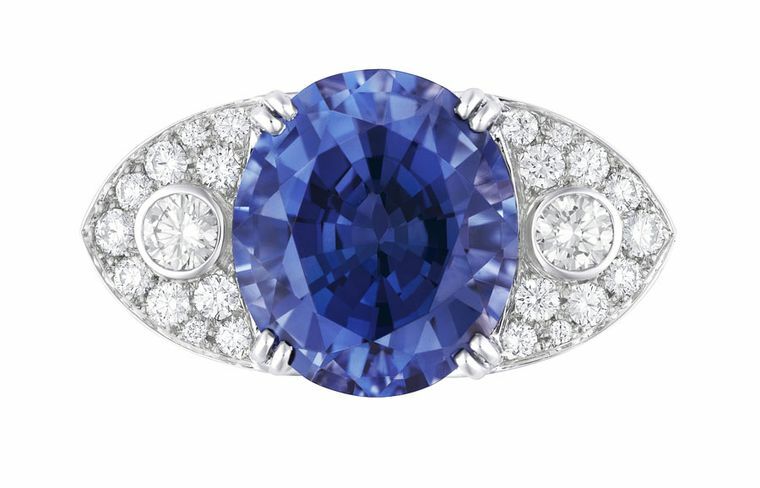 But this rare stone is experiencing a renaissance and finding its way into designs by some of the world’s top jewelers. 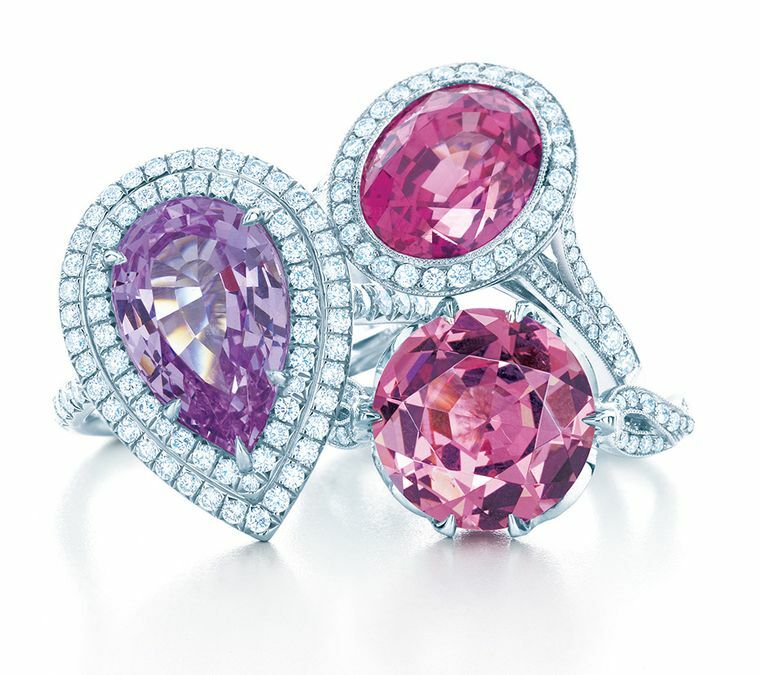 Tiffany & Co. rings in diamond and platinum settings, from the Blue Book Collection, set with (clockwise from left) a pear-shaped violet spinel, an oval pink sapphire and a round pink spinel. 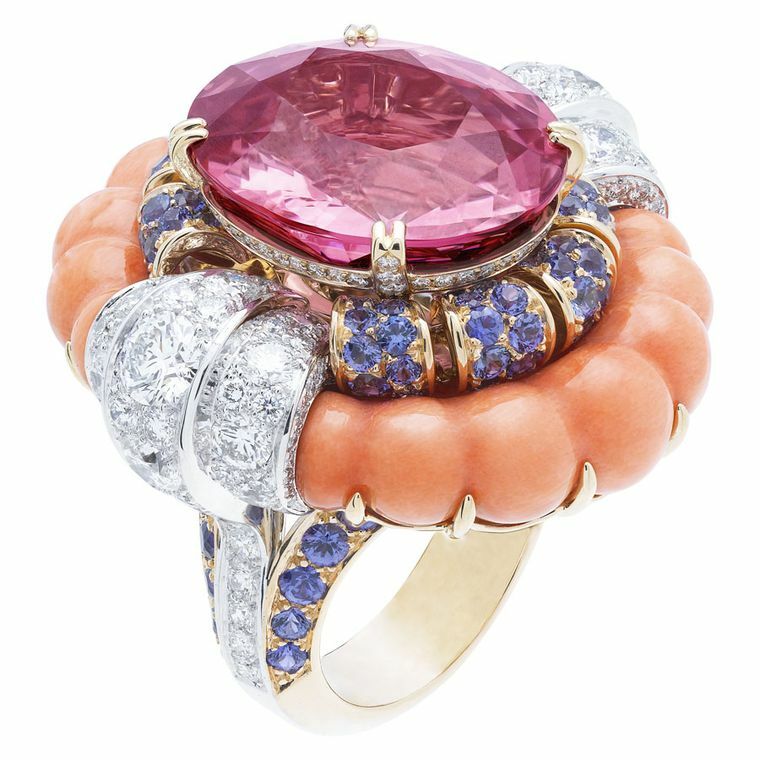 Van Cleef & Arpels Pierres de Caractère Summer Cocktail ring in white gold, with round diamonds, pink gold, coral, round mauve sapphires and one oval-cut pink spinel of 21.19ct. Chanel ‘Ruban de Came´lia’ ring in white gold, set with 584 brilliant-cut diamonds with a total weight of 8.7ct and 310 brilliant-cut black spinels with a total weight of 1.5ct. Louis Vuitton recently harnessed the multi-coloured beauty of spinels in its Voyage dans le Temps high jewellery collection. Small diamonds surround a fiery red spinel from Tanzania in one ring, while another features a rich purple spinel, also from Tanzania. 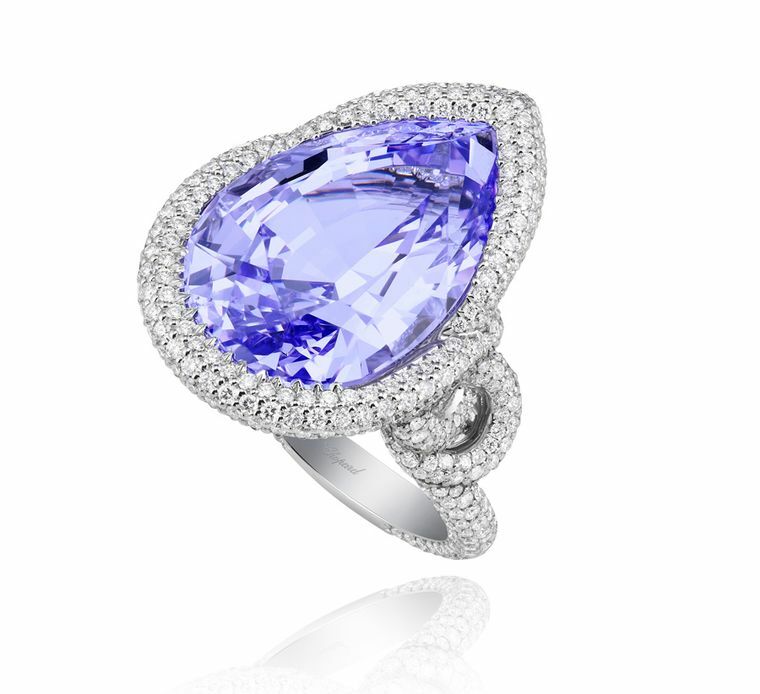 A delicate, lace-like setting showcases a stunning blue spinel from Vietnam in a third ring. Spinel also makes a beautiful accent stone, as in Chanel’s ‘Ruban de Camélia’ ring, which contrasts white diamonds with black spinels, something that Tiffany has also discovered. 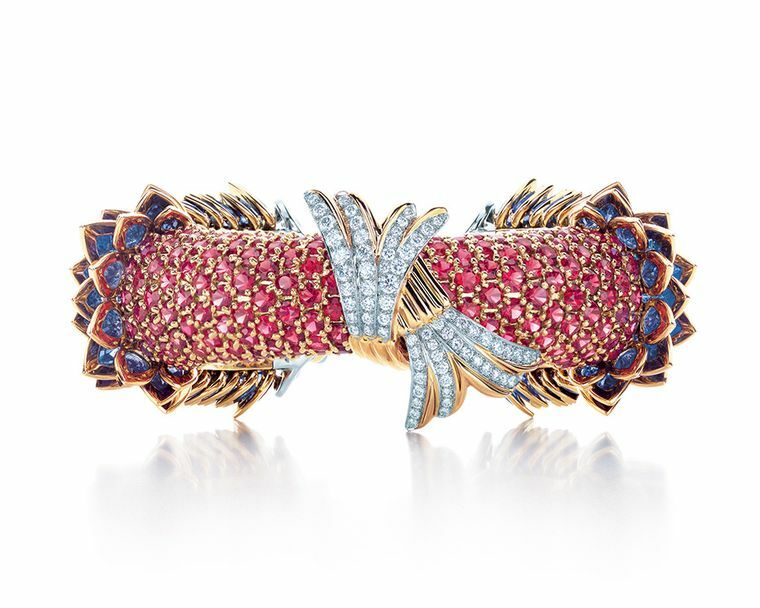 Used in a typically colourful Jean Schlumberger bracelet from the Blue Book Collection, the pavé red spinel and diamonds mimic the scales of a fish. It is when a spinel is given the space to shine, however, that its natural beauty is most apparent. Tiffany’s trio of pink and violet spinel rings in diamond and platinum settings suggest a hint of spring to warm up those dark winter nights, while the violet spinel in Chopard‘s Red Carpet Collection ring is, quite simply, breathtaking.